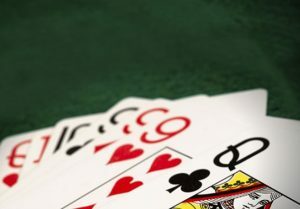 Joining bridge tournaments will help make the play very exciting. Sure it is nice to play regardless of what you will get out of it. But there is a thrill when you are recognised for being good at playing bridge. This is probably why a lot of people like joining tournaments. But beyond that, I also like the idea of being among the best in playing bridge. Of course, getting a trophy or a certificate is a great experience too. I would like to know that I have at least done that once in my life. It is an affirmation of my love for playing this card game. 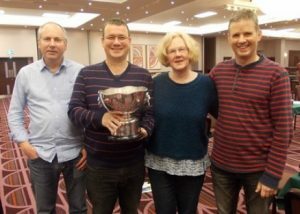 So what are the different bridge tournaments in London? There are three that you can look out for. This is event will happen at the Royal National Hotel in London. It takes place from December 27 to 30. To enter, you have to book online. While it is possible for you to submit your entry on the same day as the event, you have to pay the fee beforehand. The rules mention that there will be no money to be collected during the tournament. This event is organised by the English Bridge Union. This event is for members of the English Bridge Union. Non-members can also join but it should be through the LMBA or the EBU. They have to complete a form and pay an additional fee. This event actually happened back in July 2017 but it usually happens on a yearly basis. The last event took place at the Young Chelsea Bridge Club. The next one will probably take place in the same place – that is to be confirmed before the actual event. In this event, there is an entry fee – it will depend on the details of the game that you will join. There are food and drinks available during the event so there is really no need to bring anything else. This is an event that takes place every October. This is a competition that is ideal for players in teams of four. However, they do allow up to 8 people in one team. There is a Newcomers League that is ideal for beginner bridge players. Those who will win this league has a chance to join the London League. While the Newcomers League allow non-members to join, the London League is exclusive to LMBA and EBU members only. That means the winners of the Newcomers League will be encouraged to join the union as a member. There are several other bridge tournaments in London that you can join. It is usually a yearly event so if you missed one, you can join another next year. What About Playing Bridge Online?